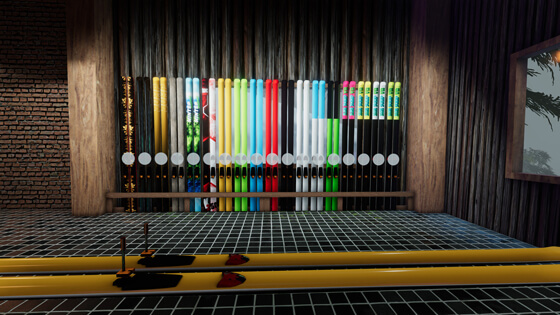 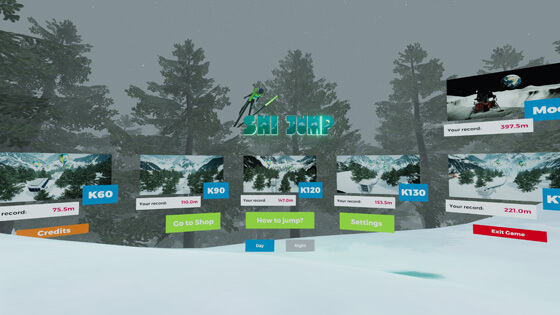 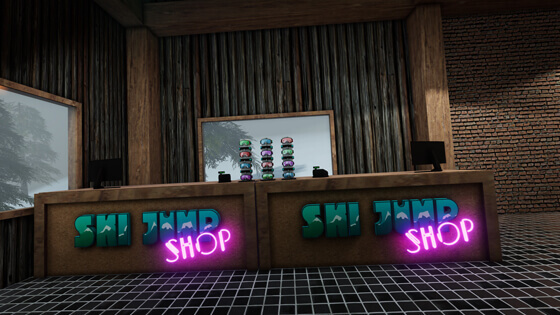 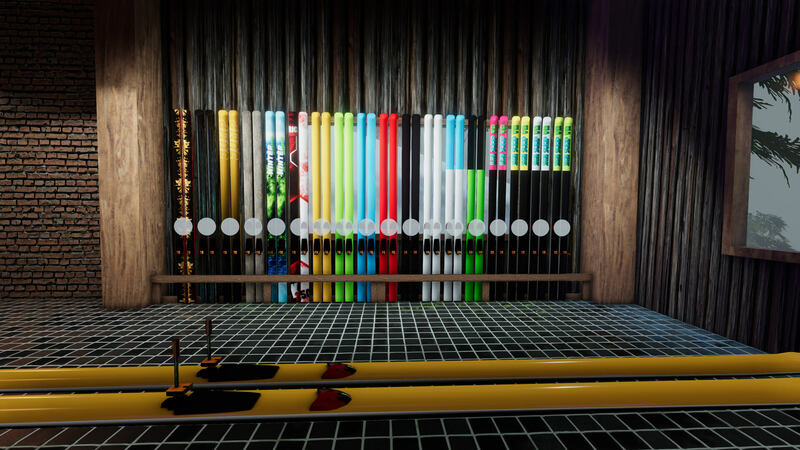 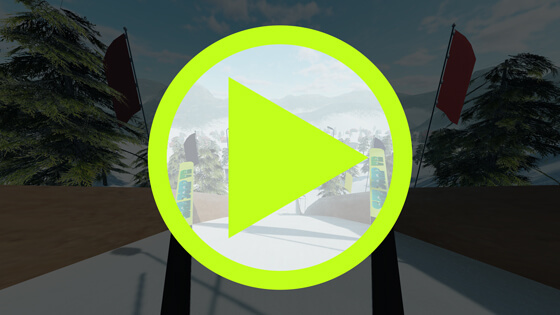 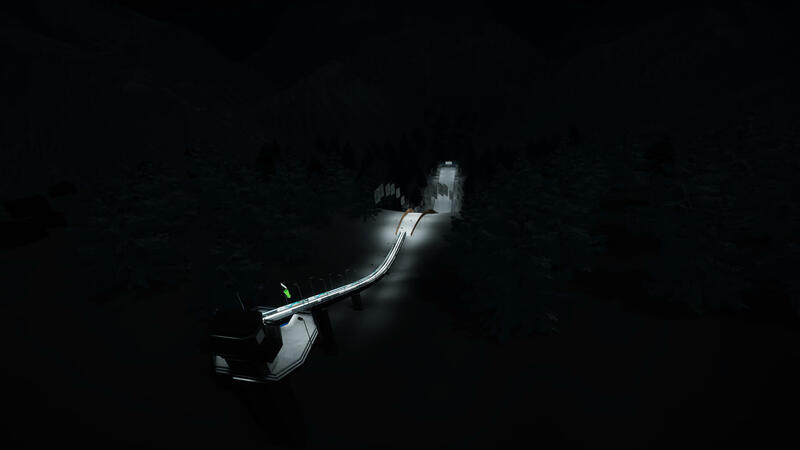 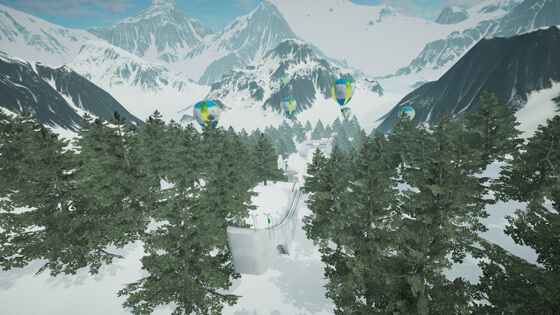 Ski Jump VR is a virtual reality sports simulator game. 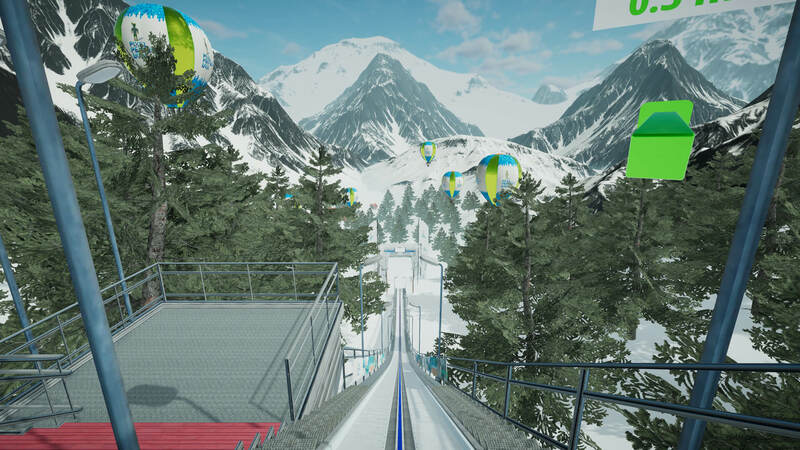 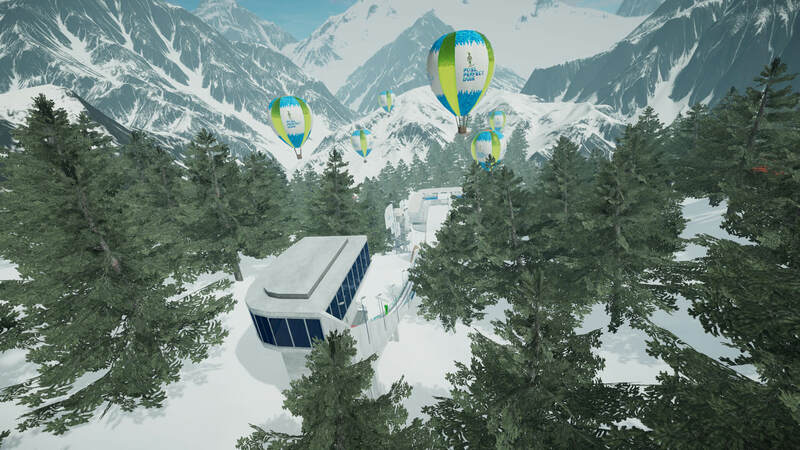 Currently in Early Access you can try 5 hills in a simple single contest mode (2 rounds). 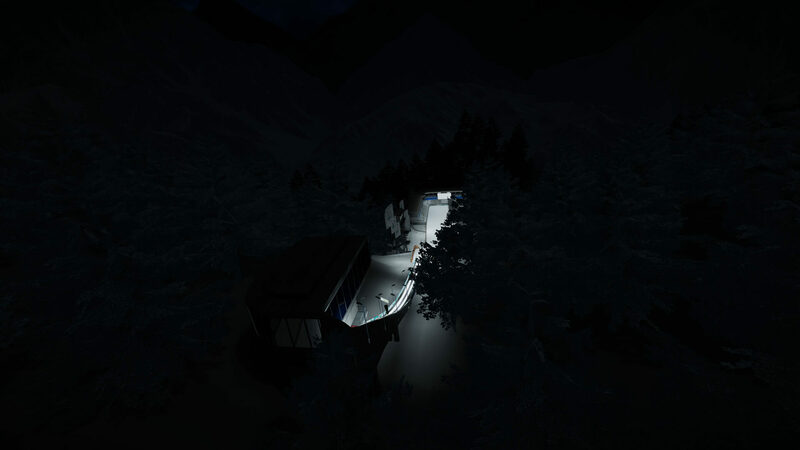 There is a global setting that allows to switch between day and night. 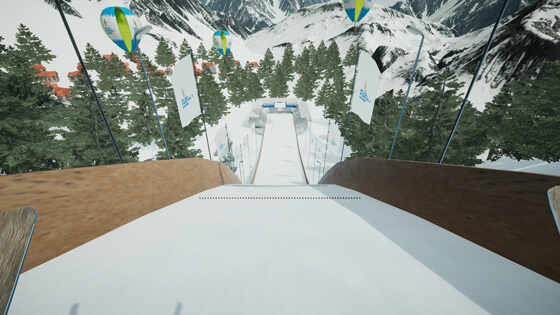 The game uses realistic physics, all of the velocities are as in reality. 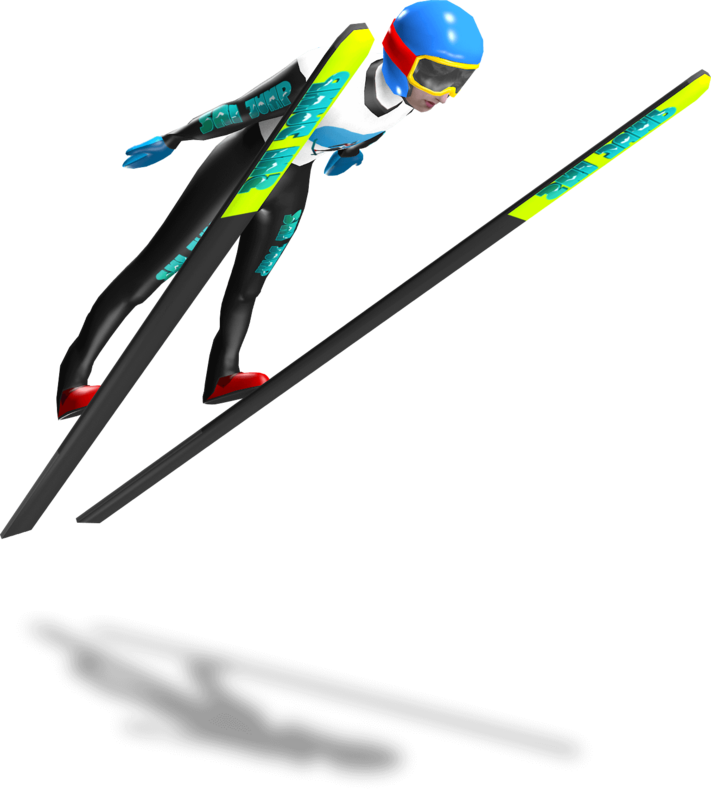 Each hill is designed to match characteristics of FIS certified ski jumping hills.